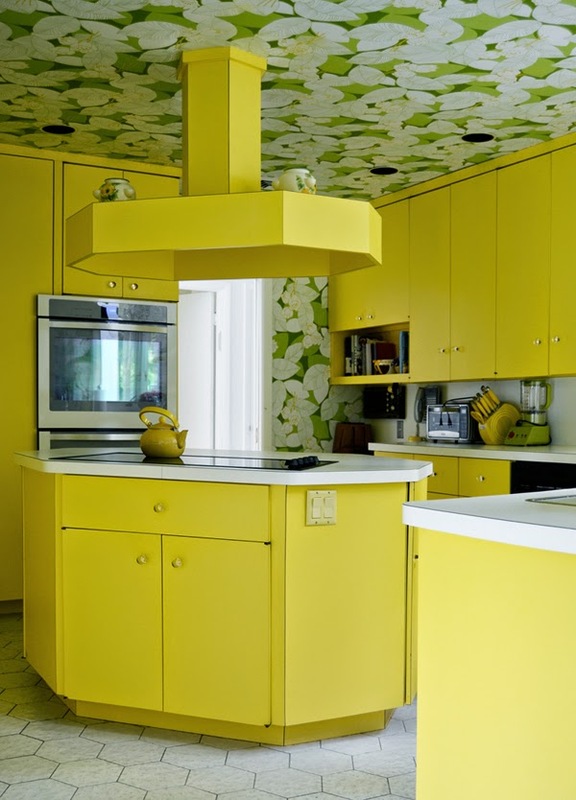 You all have to agree that formica is having a moment in this home. Yes please! Nicole (my creative hero) from Sketch42 photographed this 70's modernist home and blogged about it here as she has always loved the concept of 'time capsule' homes where the original design choices are preserved and respected. 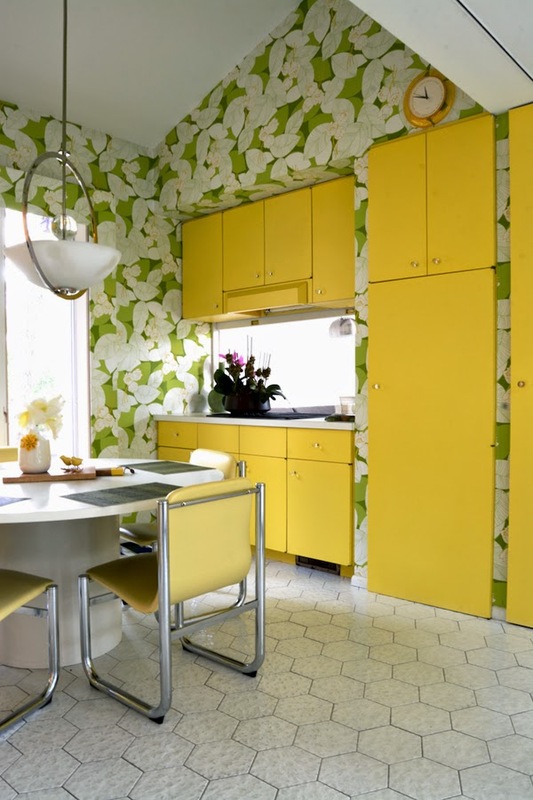 The home (and its wallpapers) are spectacular and are totally worth the click-through. I have not seen a home this vibrant in a while. 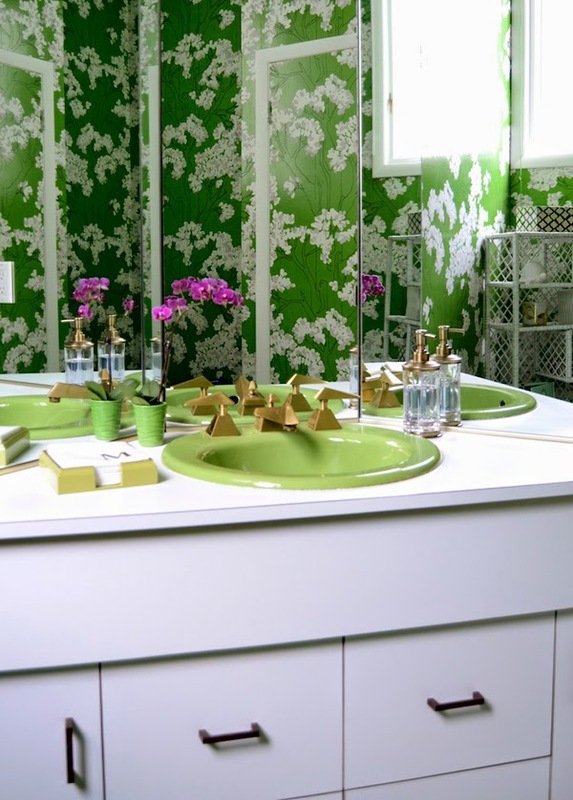 It's a breath of fresh air....In this post I'm just focusing on the beautiful formica and the colored toilets and sinks because they have such vitality (plus they totally remind me of my grandmother's home). wallpaper, sink and sink hardware heaven. And of course the green toilet trumps all. Check out the rest of the post here. Happy Monday! That colorful floor has me all kinds of excited. It reminds me of Miami in the 70's. My parents condo had some of that vibe:). 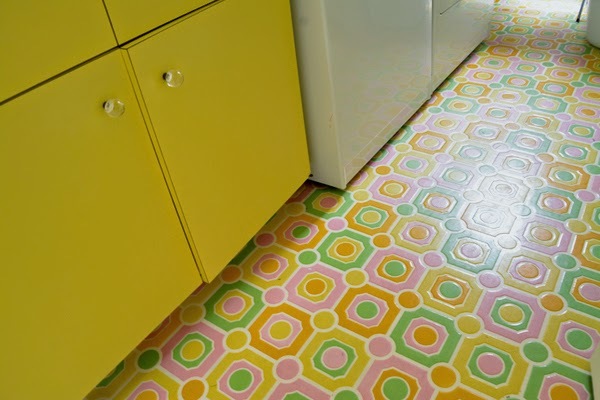 The floor in the laundry room.....kind of dig it! Wow I feel like I'm going back in time! Love it, the colors are so happy and cheery! 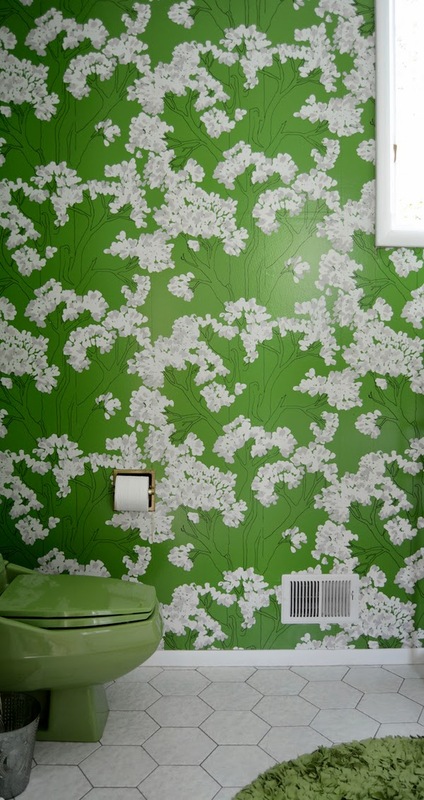 I adore the wallpaper too! There is something just so fabulous here. I wish I could see this in person!